I was in good company when I saw this ad. 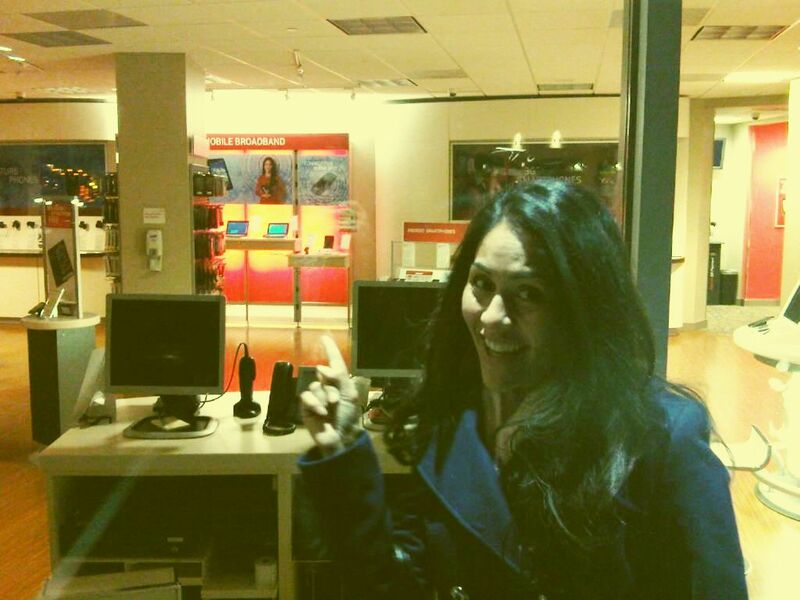 Sitting passenger side in the car, peering through the empty Verizon Wireless store after hours, I caught a glimpse of a familiar face-myself! I was so ecstatic I called for reverse right then. Luckily, we were the only ones on the road. This ad spans in stores NATIONWIDE and in CANADA! How wild! It’s a pretty cool tablet too. Just think of a smaller iPad that will slip nicely in your purse. Great for the working one on the go!